When it’s time to change your home’s design, don’t go to a home goods store first. Changing out the accent pieces that fill your house, like lamps, cooking tools, curtains, and wall decorations is a great way to break up the seasons. But it won’t change the look and feel of your house underneath the accessories. When you want to upgrade your house’s style, focus on the fixtures first. Here are the best value home remodelling ideas. Understanding the space, you must work with can do wonders for keeping yourself on track during the rest of the planning phase. How much you’ll need to map out will depend on the scale of the renovation you’re looking to do. But understanding the main features of your property will help you see how everything you want to do can work together and make up the home you’re looking to create. Having a clear vision for the space you want to create and being able to clearly communicate with your team will go a long way toward making sure a remodel goes smoothly. It’s generally best to map out where large structures will be (or where you’d like them moved to) and have an idea of the finishes you’d like to incorporate, so everyone understands the look and feel you’re going for. It’s also a good idea to plan for the unexpected, especially if you’re planning a large-scale project, and put a bit of extra money back to cover any emergency expenses that may come up. If you’re looking for a smooth and hassle-free home remodel, feel free to reach out to experienced contractors. One gorgeous way to update the look of your bathroom is to create an accent wall of granite. If you have a freestanding tub, choose the wall behind your tub to accent for an exquisite look. For a built-in bathtub, select an adjacent wall to highlight. As an alternative, you can opt to tile the wall behind your vanity from floor to ceiling to add a dramatic appearance to your space. Selecting a contrasting colour of granite for your niche will make it stand out and create an elegant accent inside your shower. You don’t have to settle for an ordinary design though. Consider one with several shelves in a long vertical column. Or install a horizontal niche that runs the length of the shower wall. You can even opt to have two shower niches put in and designate one for yourself and one for your spouse. Another great accent is a bench for your shower, covered in chic-looking granite. 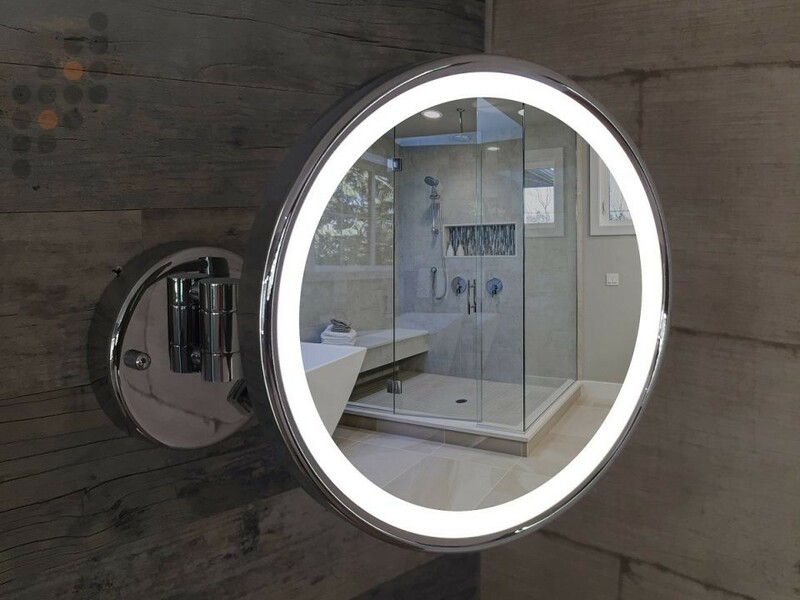 Such a feature adds function and beauty to your bathroom mirrors. You’ll love sitting on your fabulous bench seat while warm water sluices over your body and relaxes you. This addition will also come in handy if someone in the family has an injury and can’t safely stand for long periods of time. First and foremost is your sink and vanity space. If your current vanity is outdated or contains chips in the porcelain bowl, it needs to be refreshed. 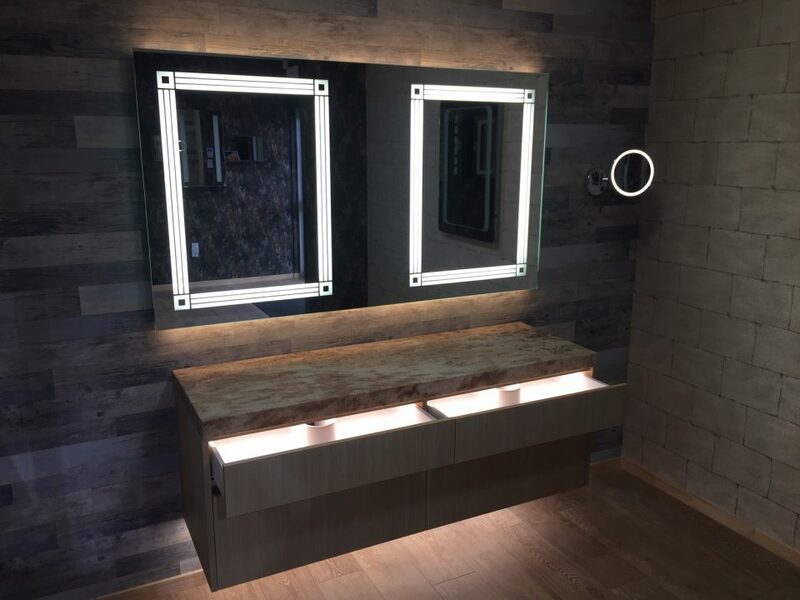 Consider installing a smaller vanity that takes up less space as this will help create an illusion of a more spacious bathroom. If your existing vanity is in decent shape, consider refreshing its look with some paint and new hardware! Clean up those bathroom walls and brighten them up with a new coat of paint. If there is any old or obsolete wallpaper lurking around, remove it. Removing wallpaper can be tedious but it does not cost much. There are products available to help remove wallpaper, but warm water mixed with vinegar makes for a wonderful solvent to help remove stubborn wallpaper and adhesive. It is amazing what a crisp and clean paint job can do for a room. If your current flooring in the bathroom is in good shape, consider leaving them as is. A good polishing of the current grout and floor can really help it shine. However, if they are completely outdated and need to be modernized, consider installing grout able tile. You can choose the style, colour, and pattern of your tiles, as well as the colour of the grout you use. The finishing touches of completing a bathroom remodel consist of the minor details that make major differences. Below are the “extras” that you do not want to skip out on. months or you plan on keeping your home indefinitely, granite countertops are a timeless upgrade. You can enjoy all the benefits now while still seeing an increase in your home’s selling potential later. Granite is durable, and it can withstand both heat and impact. The countertops are sealed during fabrication and replenishing the seal every few years can help keep your counters stain- and scratch-free for years. primarily functional: your bathroom handles a lot of moisture and splashes. Drywall, even protected by paint, can’t stand up to the damage. 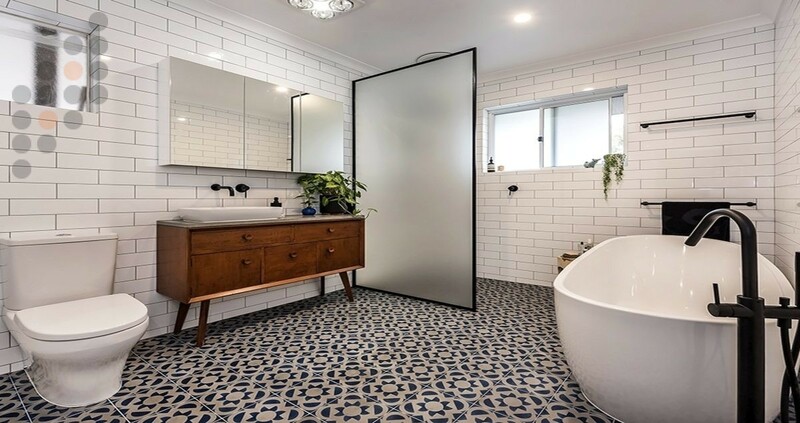 So, look for sturdy tiles that promise a safe, easily cleaned bathroom that also add a splash of colour. Upgrading your cabinet’s hardware is just an easy way to make your bathroom look more luxurious. While home remodelling projects can have a way of expanding and disrupting things, you can help keep your project on-time and on-budget by planning out your best value home remodelling before you even move the first piece of furniture.